Earlier TVS priced Apache RR 310 at a price of Rs 2.05 Lakh which has now been increased by Rs 8000 to Rs 18000 depending on different colour variants that TVS offers. TVS recently hiked the price of its flagship beast, Apache RR 310 from Rs 2.05 Lakh to Rs 2.23 Lakh (ex-showroom Delhi). The company has updated its new price on the website with effect from 1st April, however, the official announcement is due. 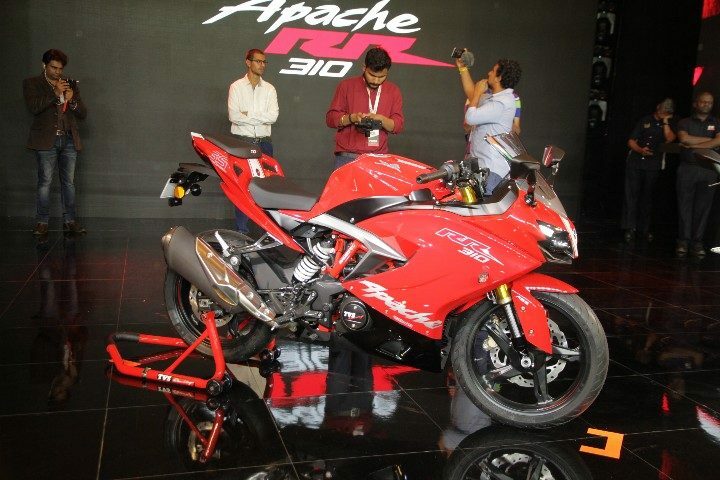 Apache RR 310 was launched in December 2017 and the bookings started from January 2018. The price initially started with Rs 2.05 Lakh (Ex-showroom Delhi) which is now hiked to Rs 8000-Rs 18000. A lot of dealers have confirmed the hike in retail price, despite no notification by the company. The bike comes in two variants – Red and Black – and is exclusively available under select dealerships in specific regions. However, the red variant has a waiting period of 3-6 months and the black variant has a waiting period of 5 weeks-6 months. 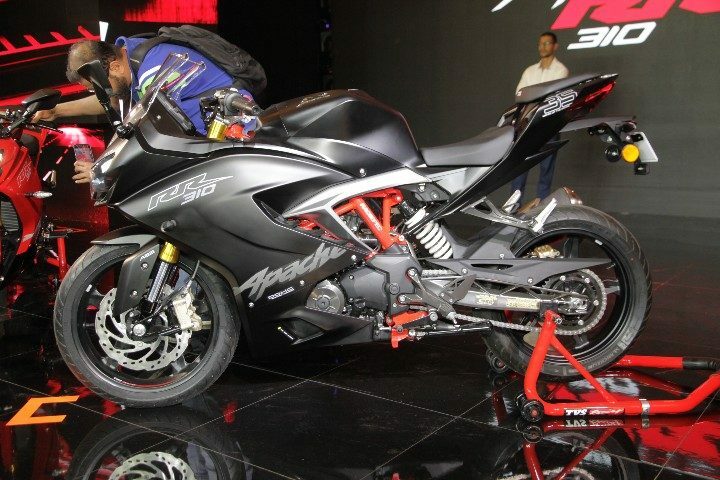 Apache RR 310 runs on a 312.2 CC DOHC engine with fuel injection technology. The bike comes with a six-speed gearbox. The engine produces 35 BHP power and 27.3 Nm torque. The bike records 0-100 KMPH in 7.17 seconds with a top speed of 163 KMPH. 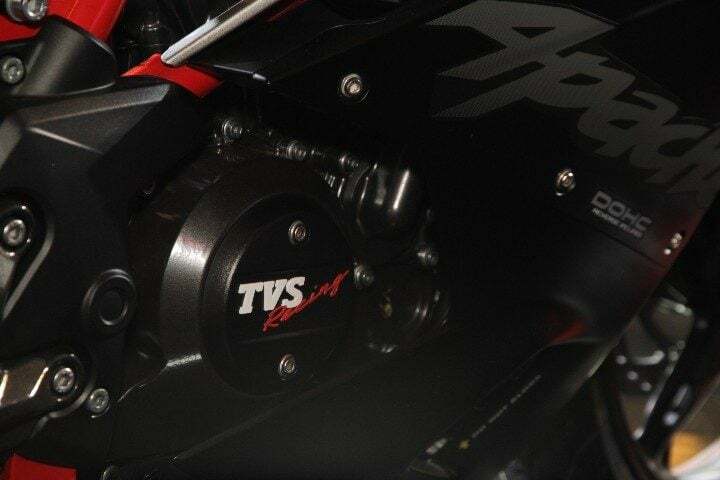 Interestingly, it is the first ever bike by TVS to get a reverse inclined engine. The bike is built by TVS’s Chennai plant by TVS Design team. RR 310 is TVS’s first fully faired bike and shares its similarities to BMW G 310 R. With special design inputs giving it a sporty look, the bike is not available in every showroom. 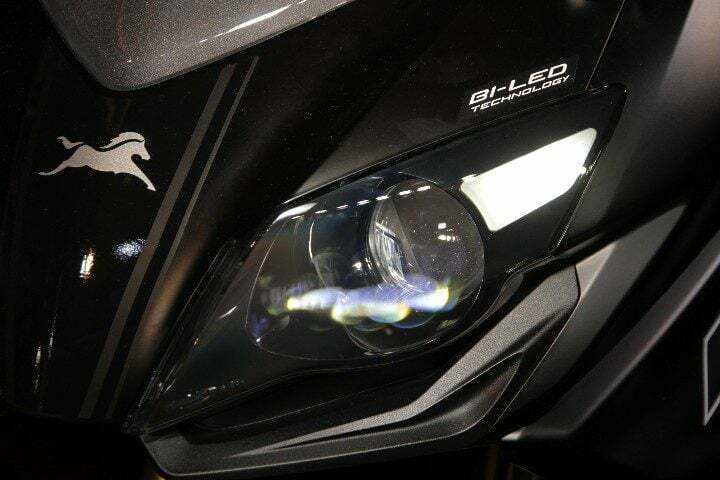 Apache RR 310 comes with premium features like LED headlamps, fully digital instrument panel displaying information like lap timer and high-quality switch gears. 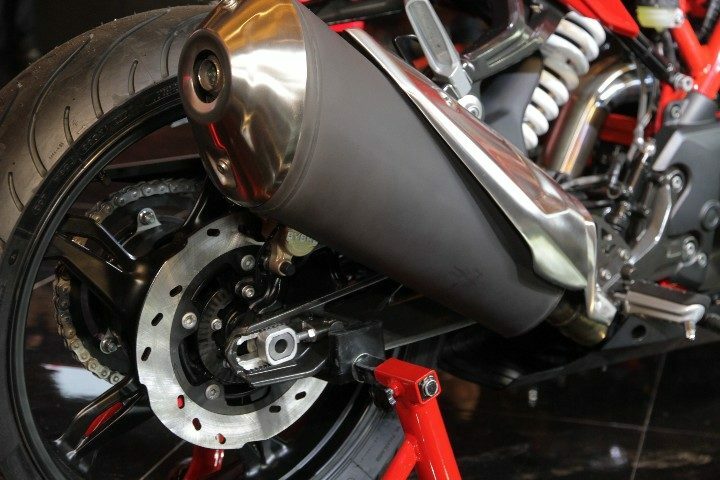 On the exterior, it comes with rear mono shock suspension from Kayaba and dual upside down front forks. The front brakes are 300 mm discs from Bybre and the rear brakes are 240 mm with ABS safety. The bike competes with the likes of KTM RC 390, Bajaj Dominar 400, Honda CBR 250 R and Benelli 302 R. However, it has a high waiting period amongst its competitors, putting TVS in more competition for sale units.